Bhubaneswar, May 7 (PTI) Opposition Congress and BJP in Odisha today hit out at Chief Minister Naveen Patnaik accusing him of ignoring backward districts in his ministry, which was reshuffled by him today. "In the reshuffle of the council of ministers almost all the backward districts have been ignored .. This is unfortunate and disrespectful of the mandate of the people of this state," Congress stalwart and Leader of Opposition Narasingha Mishra said. There is no representation from the districts of Malkangiri, Rayagada, Koraput, Balangir, Kalahandi, Nuapada, Sambalpur, Jharsuguda, Deogarh, Boudh, Kandhamal, Sundargarh and Mayurbhanj, he said in a statement. Claiming that the "intra-party conflict" in the ruling BJD was apparent at today's swearing-in of the council of ministers, Mishra said none of the ministers who resigned yesterday at the advice of the chief minster were present at it this morning. 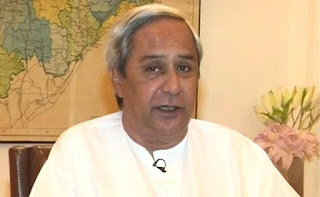 While Patnaik had claimed that the ministers who resigned did so voluntarily, some of them later said that they had put in their papers at the direction of the chief minister, he said. Describing the reshuffle as a "reflection of BJD's poor performance" in the panchayat polls in the state, BJP Odisha unit's chief spokesman Sajjan Sharma said the backward districts like Kalahandi, Balangir and Mayurbhanj did not get representation in the revamped council of ministers. Sharma sought to know whether the chief minister had decided to "punish" the people of the backward districts by denying them representation in the ministry as the ruling BJD had faced debacle in the rural bodies elections in them. Though the chief minister dropped two tribal ministers from the ministry, not a single tribal leader was included in the council of ministers in the reshuffle, he said adding none from Jajpur, Nayagarh and Kendrapara districts was inducted into the ministry.